The secret to having a successful life is not a single habit. It’s many habits that compound and create a system of living. One single habit may change your life by 1%—it’s too small to notice. But what if you create one habit every day for 365 days? You will become 37x better! That’s the power of small improvements every day. 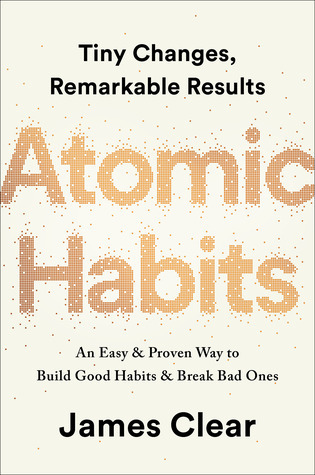 This book about habits is based on new research and the experience of James Clear. James Clear writes about habits, decision-making, and continuous improvement at jamesclear.com. His website receives millions of visitors each month and hundreds of thousands subscribe to his popular email newsletter. Change your identity to change your habits. Use the four-step process to create new habits. Use the four-step process to break bad habits. Make a Habit Scoreboard in order to increase your awareness of your actions. Use the Pointing-and-Calling method to raise your level of awareness of unconscious habits. To start a new habit, clearly define the place and time. Design the environment to support your habits. To change bad habits, remove cues from your life. Make habits attractive to you. To increase the odds that you will follow good habits, make it as easy as possible. Reward yourself after a good habit or after avoiding a bad one. Experiment and find activities that match your genes.